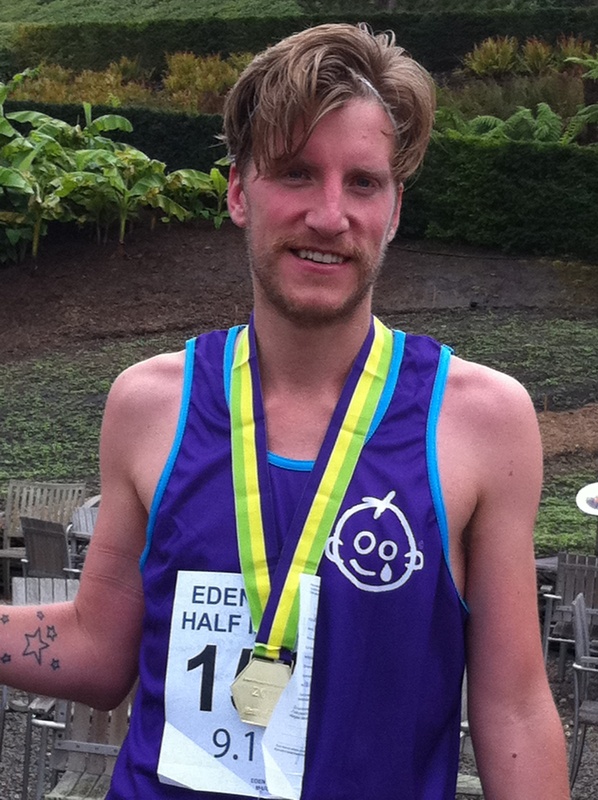 Thom ran his second half-marathon at the Eden Project. His first was a week or so previously at Greenwich where he completed the race in 1 hour 34 minutes. Both races were to help raise money for Great Ormond Street Hospital. 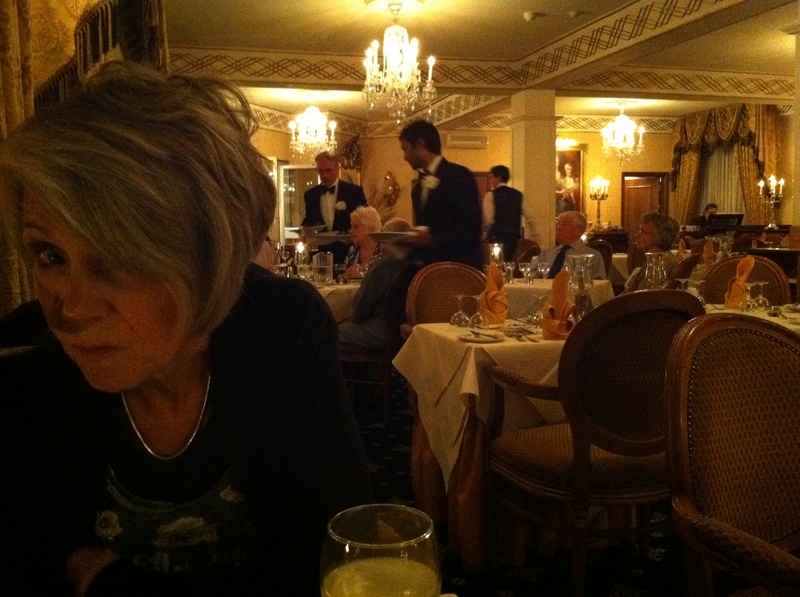 We had travelled down on Friday, staying at the Livermead House Hotel in Torquay. 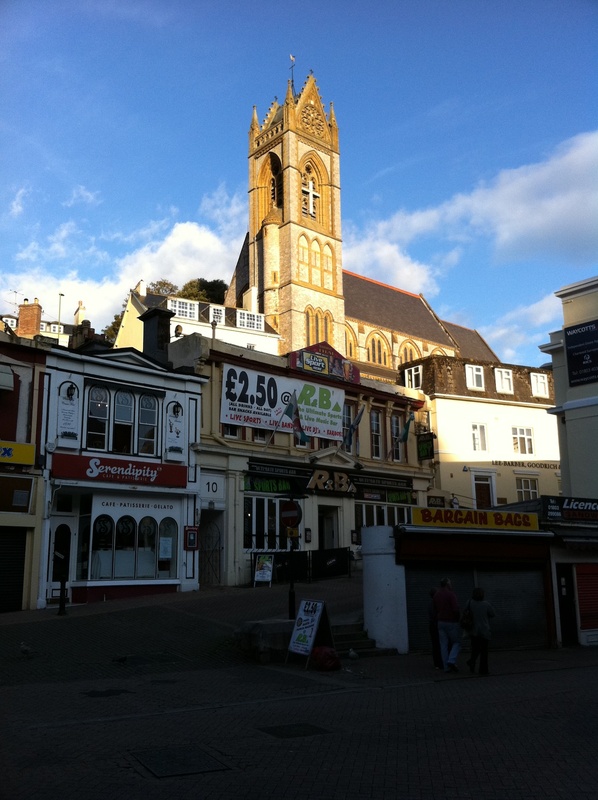 It was interesting to see what the town had become since I was there last (probably in the late 1990s). The magical Rock Walk is a rock desert and the secret beach at Beacon Cove is a concrete platform. Palm Court hotel has been destroyed and the main streets of the town are pedestrianised and full of cheap shops. There was a Poundland, though, and what a joy! I liked it. Sod Westfield when there are treasure troves like that. But, all in all, the place was down at heel. Even Cockington looked shabby. 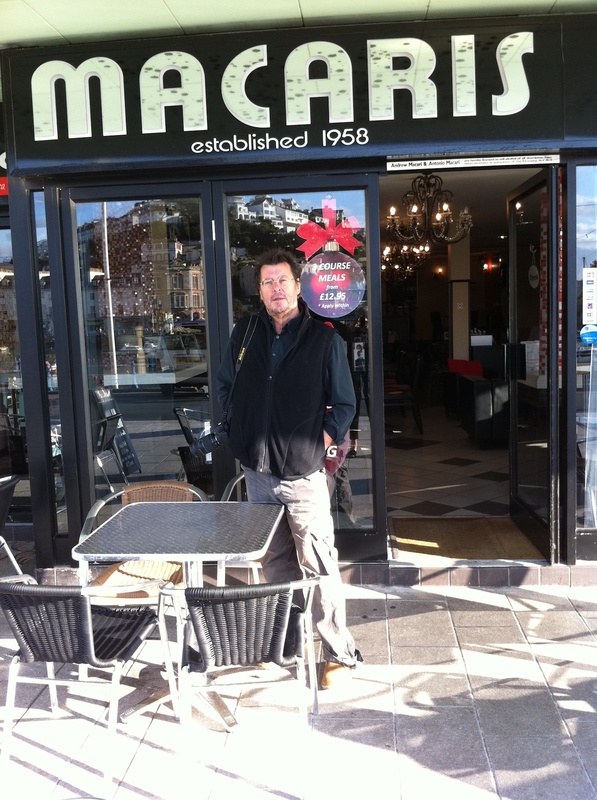 I remember Macari's from the 60's! St. John's, where I was a server, now seems to be offering Sky TV. 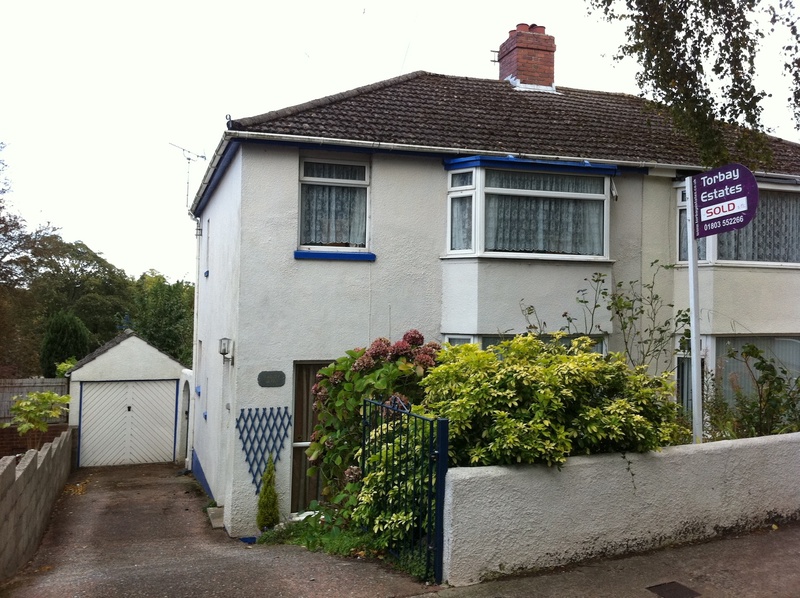 We visited some of my old homes in Hawkins Avenue and Princes Road East and Bramhope in Lower Warberry Road. No. 27 had just been sold for £177,00o and no. 63 would be worth about £ 120,000. Our hotel was fine and comfortable but definitely exuded an air of past grandeur with overdressed, formal waiters and heavy curtain drapes and candles, The Fowey Hotel was also grand but much more modern and had a splendid view over the estuary and it’s yachts and shipping moving through the harbour. The town itself reminded me of a very smaller version of St. Ives without the trippers; definitely Hampstead-super-Mare. The restaurants and food were superb especially the excellent Fowey river mussels. 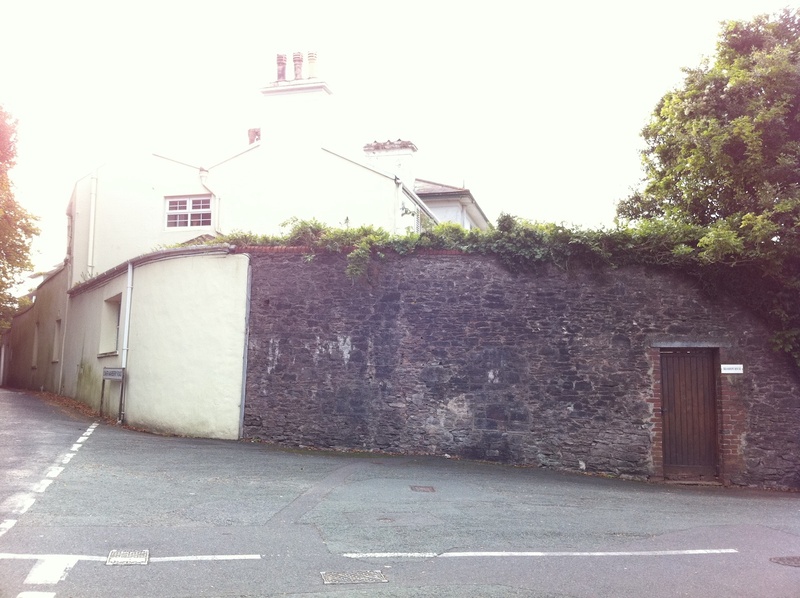 Fowey, apparently, is pronounced “foy” perhaps because Cholmondley often goes there. 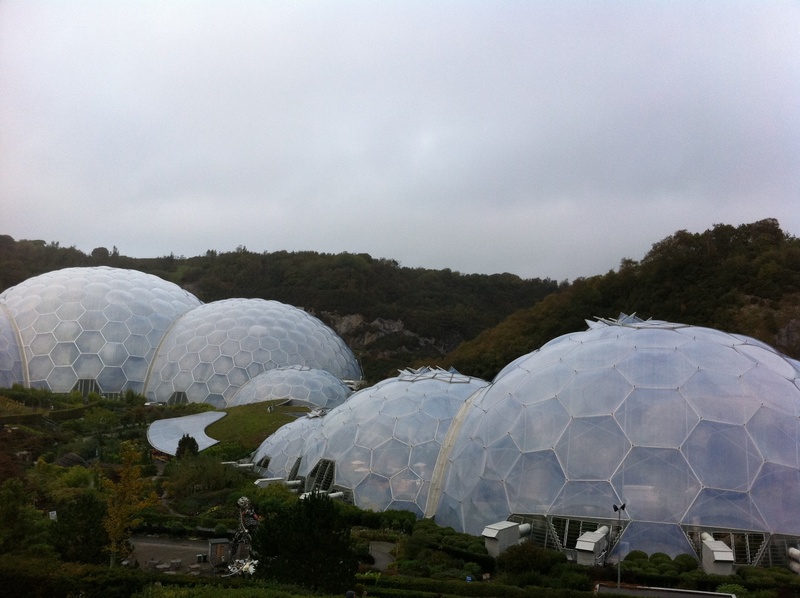 Sunday, 09-10-11, was the race day and we got Thom to the Eden Project biodomes where his half-marathon race started and finished. 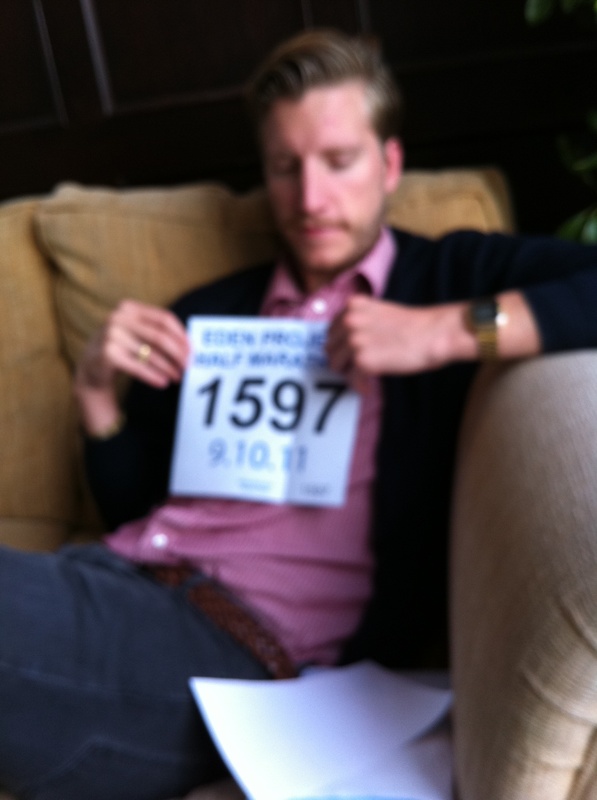 Thom’s race number was 1597 – synchronicity is running wild! The day was cool, grey and wet underfoot. 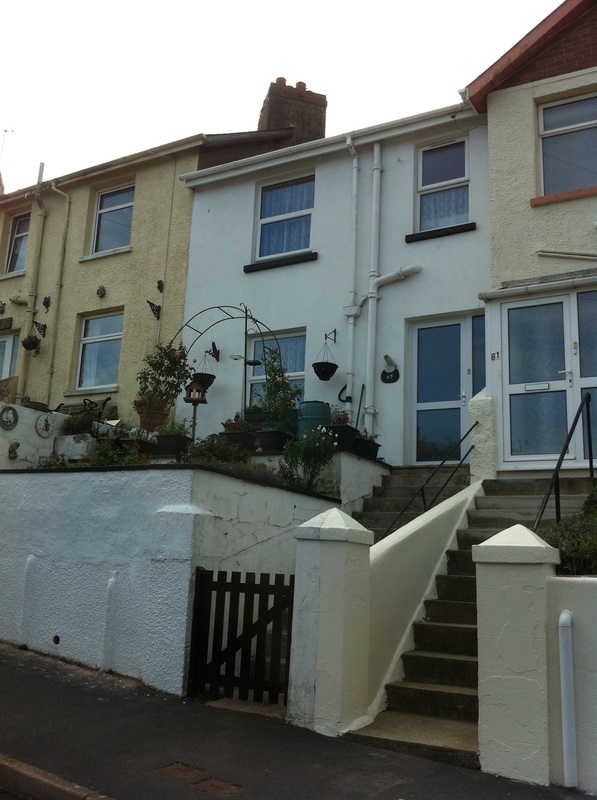 The terrain was also west country hilly. 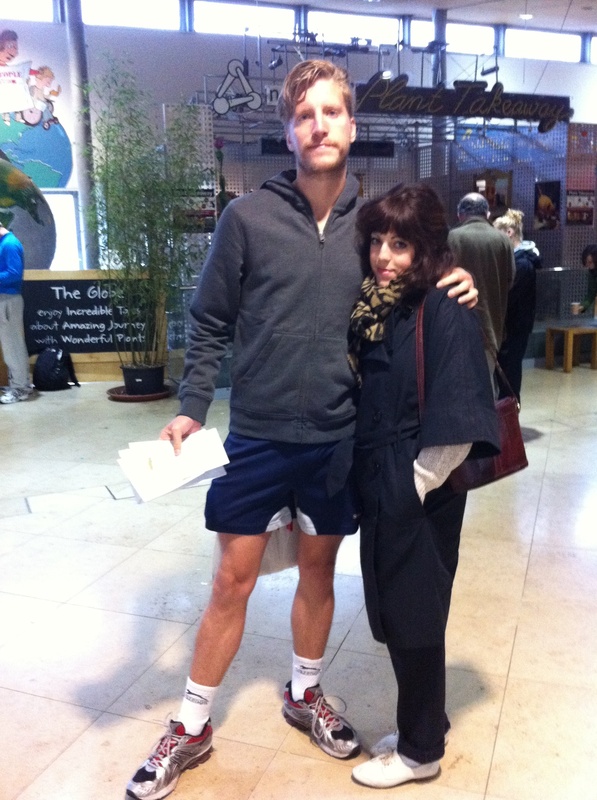 We waited at the finish for Thom to appear but had no problem identifying him from within a crowd of runners. He arrived, on his own, storming down to the finish line well ahead of any crowds. His time was 1 hour and 37 minutes and he came 53rd out of nearly a thousand other competitors and 3rd in his age group. What a brilliant achievement for only his second competition. what will Jung make of this?!? PS Another notable achievement: Darwin was born on 10-10-11. Should have waited for 11-11-11 but Svetlana was already a week overdue. Whilst on the subject of homes, the number Thom ran in also now refers to the numbers of the homes we now have since Thom and Tara have moved from Stepney to Stoke Newington. Strange.